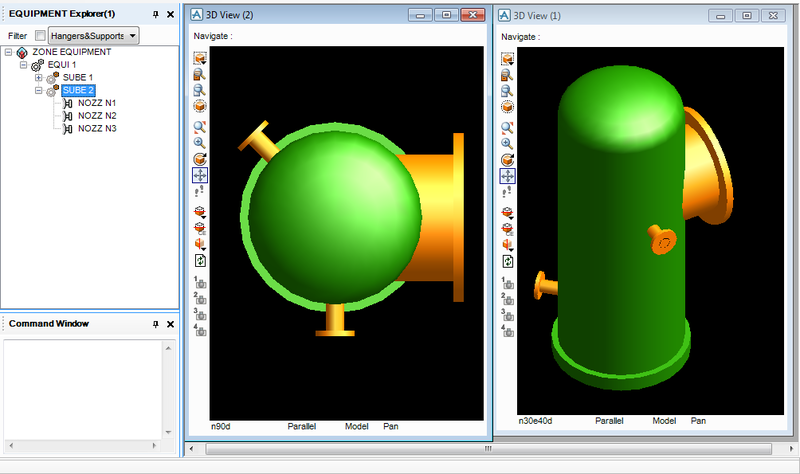 How to create 3D Primitive PDMS vertical vessel easily ? 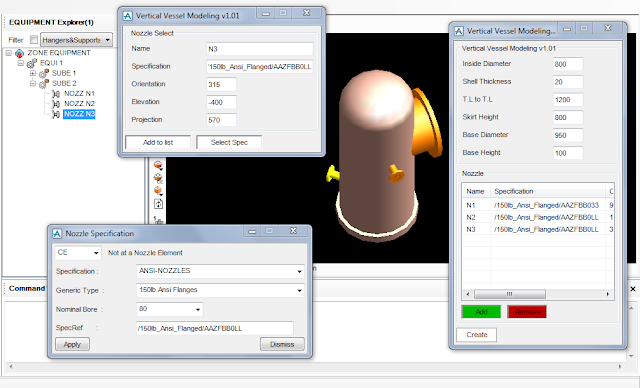 This macro is made from PML Language and be designed to create vertical vessel in 3D PDMS easily with input design parameter only, see vertical vessel modeling picture in this post below. 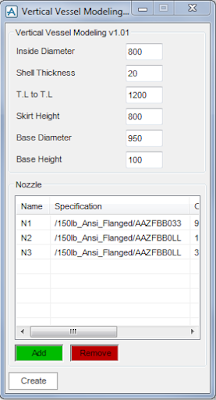 Why should we use PDMS Macro Vertical Vessel Modeling ? Reduce time to creating 3D primitive that not efficient in design phase. Create quickly a simple 3D model vertical vessel. Easy to use, no need setting from admin side just drag / drop file or command macro file to show the menu. Skirt Height : Height of skirt support. Base Diameter : Diameter of base plate. Base Height : Height of base plate. 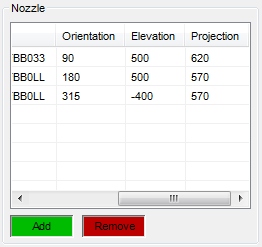 Nozzle : List of Nozzle Name, Specification, Elevation, Orientation and Projection. 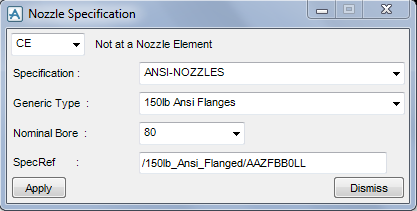 Add : Show Nozzle select form to set nozzle data and add to nozzle list. 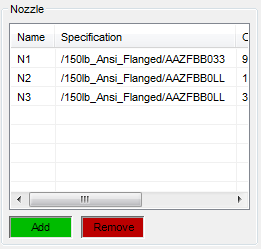 Remove : Remove nozzle dat from nozzle list. 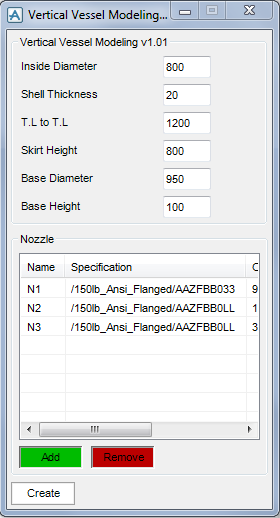 Select Spec : Show nozzle specification selection and choose nozzle specification. Fill data in PDMS Macro Vertical Vessel Form, see Vertical Vessel Modeling Parameter below for reference. 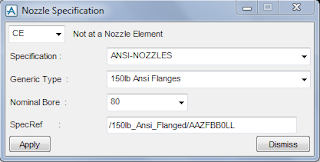 Click Add will show Nozzle select form. 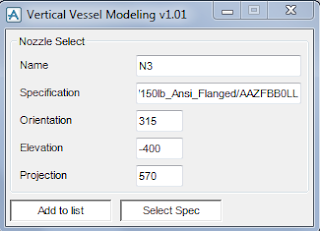 Goto PDMS macro download page to get Vertical Vessel Modeling v1.01 and another tools for optimize your job result. 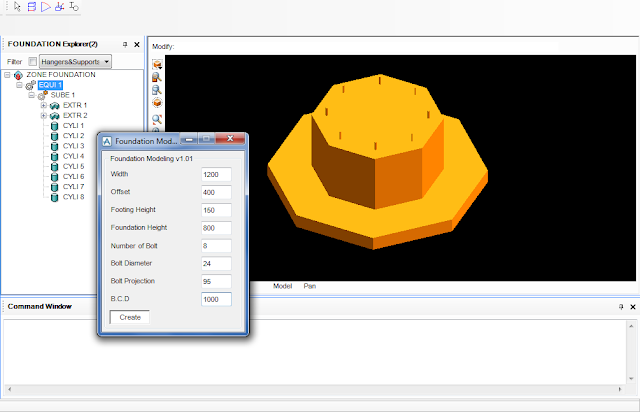 How to create vertical vessel foundation easily ? with PDMS Macro Foundation Modeling that can. 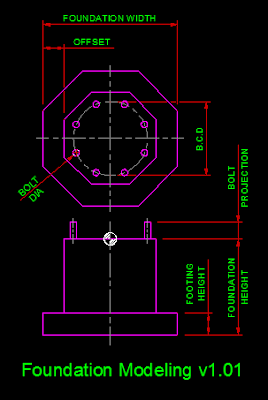 This macro is made from PML Language and be designed to create vertical vessel foundation in 3D PDMS easily specially with octagonal type, see result picture in this post below. Why should we use PDMS Macro Foundation Modeling ? Create quickly a basic octagonal foundation specially vertical vessel foundation. Select EQUI or STRU as CE. 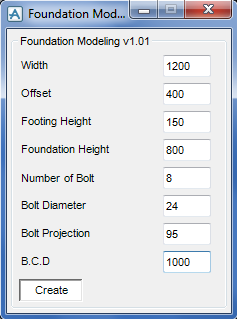 Fill data in PDMS Macro Foundation Modeling Form, see Foundation Modeling Parameter below for reference. 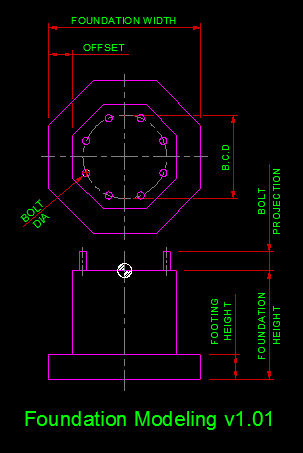 Goto PDMS macro download page to get Foundation Modeling v1.01 and another tools for optimize your job result.